in most beautiful island of Greece! Welcome to website of the company Cretan Travellers! 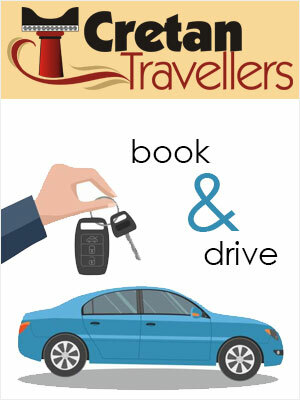 The Cretan Travellers arranges tourist transportation by luxury coach or by taxi and offers also rooms and comfortable apartments for rent in Matala. The company guaranties premium service for tourists and tourist offices. We are specialised in car and motorbike rental and the organisation of day trips on the island..
Also, the company mount excursions and jeep safari in most beautiful places of the area (Samaria, Messara, Lentas e.t.c.). The hotel Xenios Dias is located at 2 minutes from the beautiful beach and the centre of Matala where you find all comforts and calmness you look for your holidays . The rooms (single, double and triple) have a bathroom, a fridge, a balcony and air conditioning. The studios and apartments are spacious and provide all comforts for a pleasant accommodation.